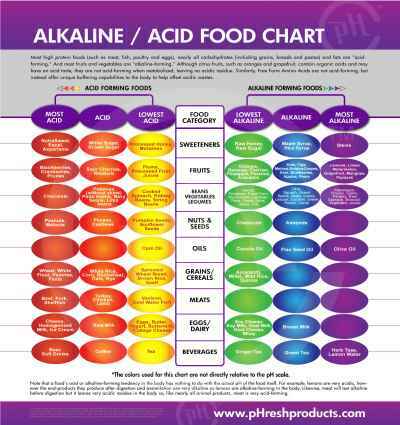 It’s easier when you know which foods help you get to and stay in an alkaline state. A general rule of thumb is that you can eat these foods without worrying about any acidic effect they’ll have, although some are more alkaline than others. It isn’t necessary to eat only alkaline foods in order to get body’s pH levels to be alkaline, and a certain percentage of foods can be acidic, but it’s best if they’re natural, whole foods like fruits. Almonds consistently rank on the list of healthiest foods to eat, so it’s no wonder that they’re also an alkaline food. This is a grain that not many people are familiar with, but that makes a great addition to any alkaline-focused diet plan. Today amaranth is valued worldwide. The United Nations Food and Agriculture Organization has fostered amaranth’s use since 1967 because wherever it is consumed there is no malnutrition. Amaranth has more protein than wheat and higher in the amino acid lysine than other grain sources of protein. Botanists note that amaranth belongs to a remarkable group of photosynthetic super performers called the C4 group, meaning it is super efficient in converting soil, sunlight, and water into plant tissue. Artichokes are often seen on top of salads, or used in a dip, but there are a number of reasons why you can bring them to the forefront of your diet. Artichokes have the highest antioxidant levels out of all vegetables, according to a study done by the USDA, and out of 1,000 plants different types of foods, they ranked #7 in antioxidant content. Antioxidants are one of the primary means of defense for the immune system against the effects of free radicals, natural byproducts of cell metabolism that can lead to a number of dangerous conditions and diseases in the body, including cancer and heart disease, among others. Here’s a leafy green that’s worth getting to know. Arugula is often used as part of a detox diet plan, and the fact that it’s an alkaline food is a big part of that. Asparagus has an alkaline effect on the body, and it just so happens that it’s one of the strongest foods you can eat in terms of alkalinity. Each food is ranked according to how alkaline it is, and asparagus is one of the “big dogs”. But it brings a lot more than that to the table, including antioxidants, nutrients, and plenty of detoxifying qualities. It’s even been noted that asparagus has anti-aging benefits, which is enough for most people to start adding more of it to their menu. It’s no surprise that avocado is on our list of alkaline foods. It’s managed to make it onto our list of superfoods as well, so you know it’s packing a nutritional punch. Avocados are high in potassium as well as healthy fat, so in addition to helping you be more alkaline, you’re getting other perks as well. You can also use avocado oil in favor of other oils that don’t provide any alkaline benefit, or worse are acid-forming in the body. You might not have thought that the herbs and spices you use on your food have an effect on how alkaline or acidic your pH levels are. But as it turns out there are good spices and bad spices. Basil happens to be one of the ones that helps keep you alkaline, and it also has plenty of other things going for it, such as the flavonoids it contains. These help the body to heal and basil in general can help with several different areas of the body. Beetroot gets more attention now than ever before, and it’s one of the foods out there that will act to help raise your pH levels. The reason it’s an important vegetable to include in your arsenal is because it’s one of the only sources of the phytonutrient betalain which may have anti-cancer properties. Add these as a side, or use them as a salad topper. Be sure to buy this one fresh and steam it, as the pickled variety has reduced nutritional value. This is a quintessential healthy food and it’s easy to understand that it’s an alkaline food. Broccoli is one of those vegetables that has so much going on you simply have to make an extra effort to get more of it into your system. Some people eat broccoli every day as a way to maintain good health and make sure they’re on the alkaline side. You at least want to eat it multiple times a week, with 3 or 4 times being a good rule of thumb. Alkaline diets are a popular choice for people who want to achieve optimum good health. However, many people don’t actually understand this diet or how it works. The concept is actually fairly simple – the diet just focuses on regaining the balance that was lost when man started to eat a more domesticated diet. Instead of focusing on foods that are high in sugar, fat, and cholesterol, an alkaline diet primarily consists of fresh fruits and vegetables, healthy whole grains, wholesome protein sources such as soy, beans and legumes, and healthy oils such as canola, olive and flax seed. These foods may be either alkaline or acid in their natural state, but they all produce what is termed as an “alkaline ash” once digested and metabolized by the body. When the body’s pH is kept at a slightly alkaline level, all the systems can work more efficiently. The pH level of the body has the ability to affect every single cell of the body. When the blood has an alkaline pH instead of an acidic pH, it will have a positive effect on how every bodily system functions. The brain, circulatory system, nerves, muscles, respiratory system, digestive system, and reproductive system can all benefit from a proper pH level. On the other hand, when the pH of the body is too acidic, it is susceptible to many diseases and problems. Weight gain, heart disease, premature aging, fatigue, nerve problems, allergies, muscle disease and cancer are all more prevalent when the body’s pH is not optimal. Because these problems are all more likely to occur when the body’s pH is too acid, it makes good sense to eat a diet rich in alkalizing foods. The primary goal is usually to eat approximately 75-80% alkaline foods along with only about 20-25% acidifying foods. If this level is maintained in the diet, the end result is a slightly alkaline pH in the body, which is perfect for optimum good health. It’s actually quite easy to eat a diet rich in alkaline-producing foods. Most fresh fruits and vegetables are excellent choices. Red meat is not a good choice, but you can add plenty of protein to your meals by using soy products, delicious beans, legumes, and nuts such as almonds. You should eliminate unhealthy fats from your diet, but you can use good fats such as olive, canola, and flax seed oil. High fat dairy products should be avoided, but you can drink soy milk and goat’s milk. Cheeses made from soy milk and goat’s milk would also be good choices. Replace the empty calories of soda with delicious iced herb tea, green tea and lemon water. Coffee should be avoided, but you can drink hot herbal or green tea. Replace pasta with healthy whole grains such as wild rice, millet and quinoa. When sweetening your foods, focus on natural products such as raw sugar, Stevia and maple sugar. As you can see, you’ll have many nutritious choices that are both delicious and high in alkalizing properties. Previous articleBefore You Go To Grab The Ibuprofen, Try These Natural Pain Remedies!